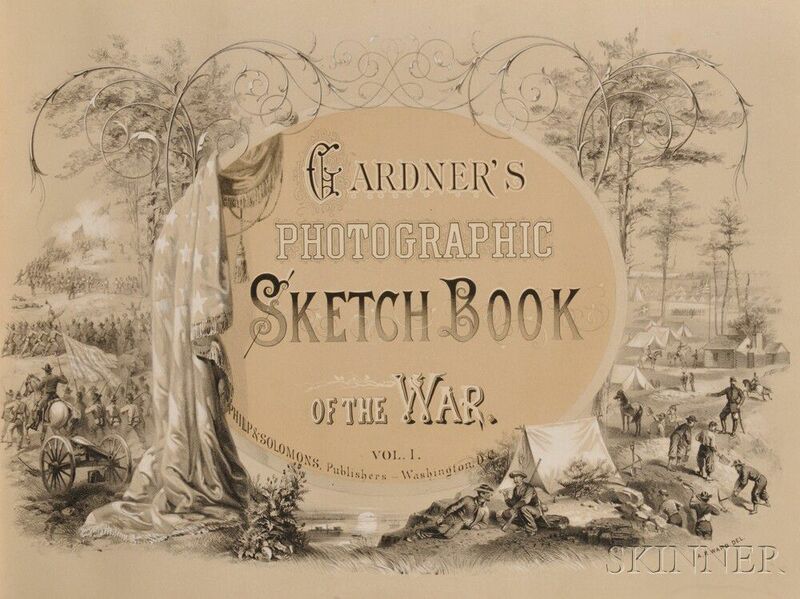 Gardner, Alexander (1821-1882) Photographic Sketch Book of the War. 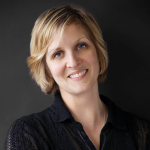 Washington, D.C.: Philip & Solomons, . 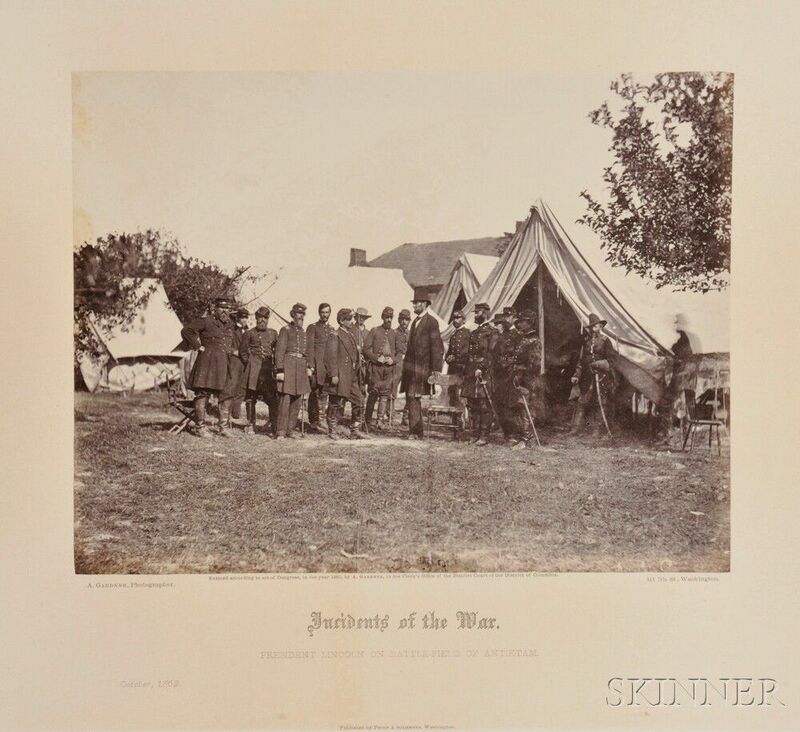 The photographic record of the Civil War created by Alexander Gardner and his collaborators reaches out across time, arresting even the twenty-first century viewer with its profound and disturbing imagery. 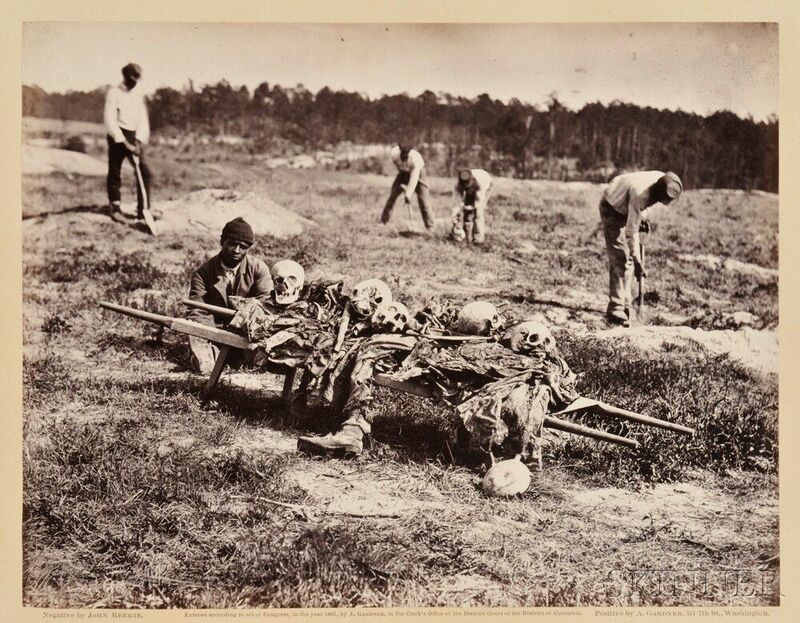 Although many of his contemporaries may have recognized the potential importance of documenting the great human and material sacrifices of the struggle, Gardner put himself directly into the conflict. He set out with equipment, materials, and a skilled crew, working under crude conditions. 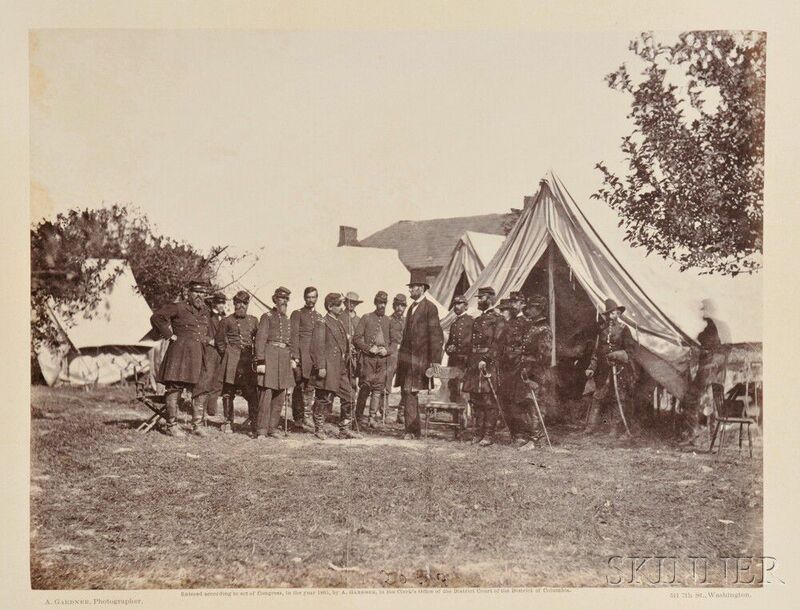 With glass plate negatives, all the necessary chemical solutions, and his own traveling darkroom wagon, he was able to bring the war home to Americans. 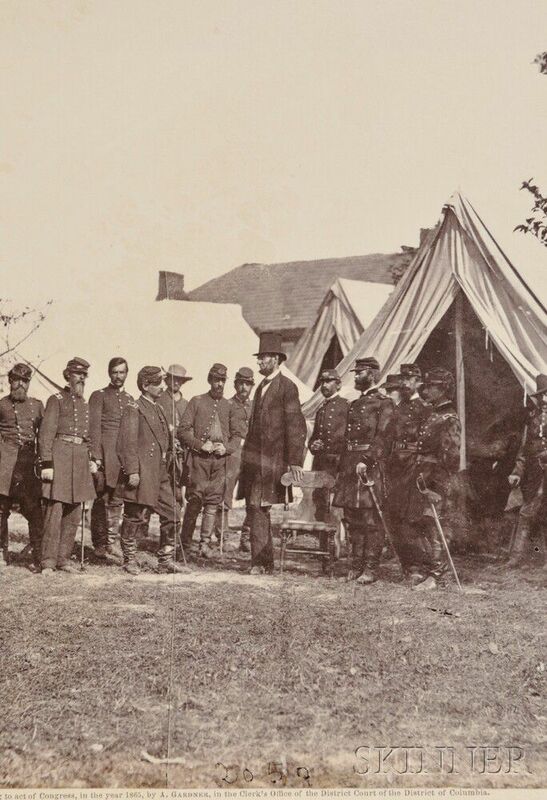 Gardner's images make the battle real, and its consequences plain. This two volume set was expensive when it was new. The cost of production itself was steep. 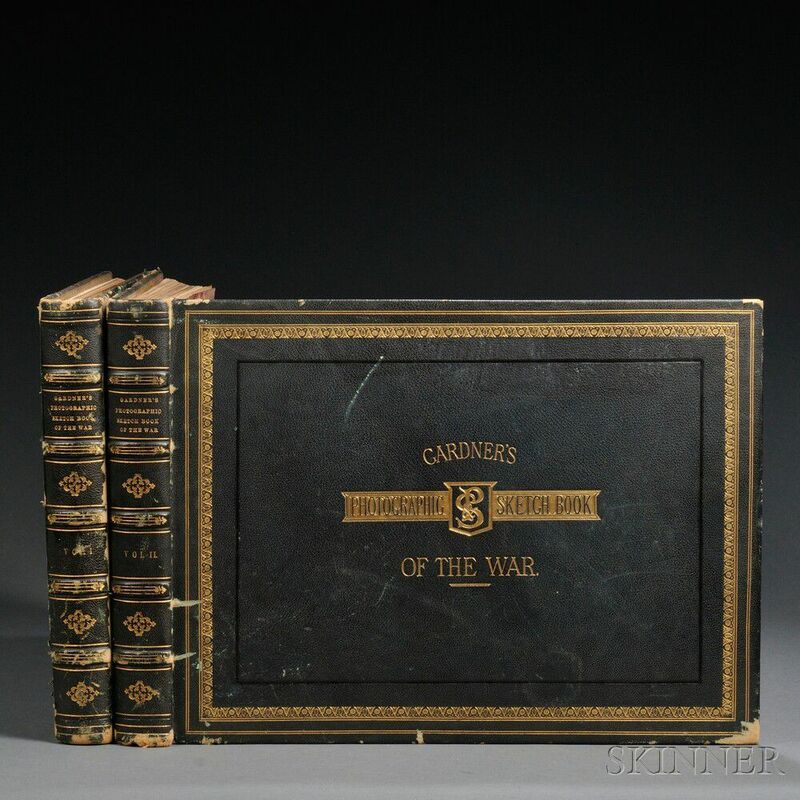 Each volume is essentially constructed like a scrapbook. 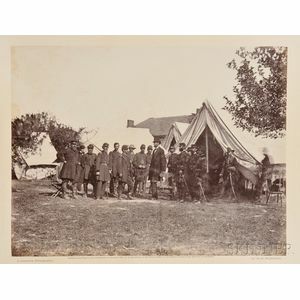 The albumen photographs, printed on a very thin and flimsy paper, were cut by hand, and then mounted individually onto the pre-printed sheets. Marvelous for many reasons, these books come to us as original artifacts of a painful period in American history.